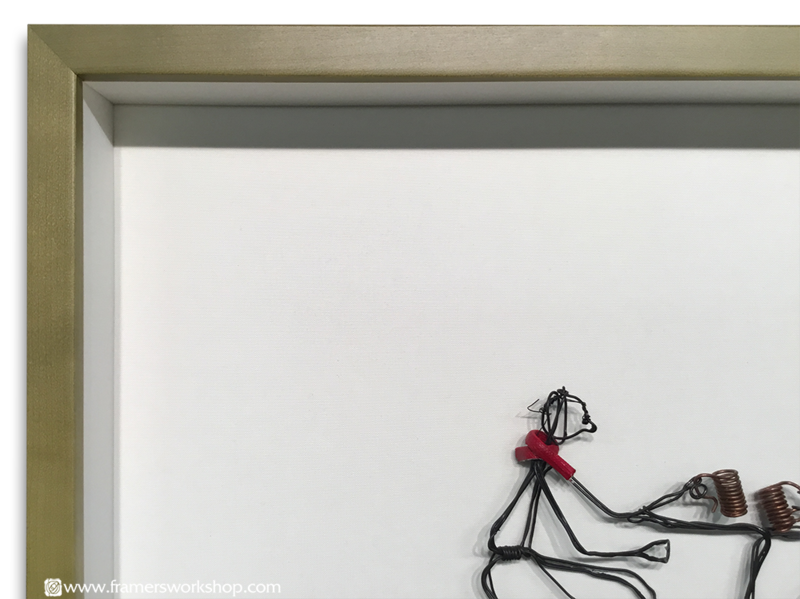 You are here: The Framer's Workshop > 3D Object Framing > 3D Wire Sculpture "Drawing"
This adorable wire 'continuous line drawing' needed special treatment to be protected and displayed properly. 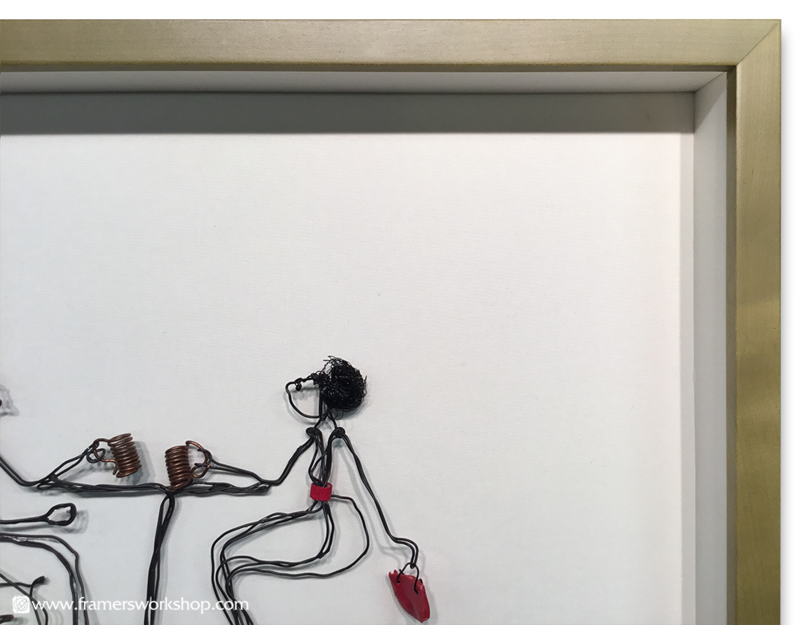 The wire 'drawing' is attached to a white linen fabric backing. 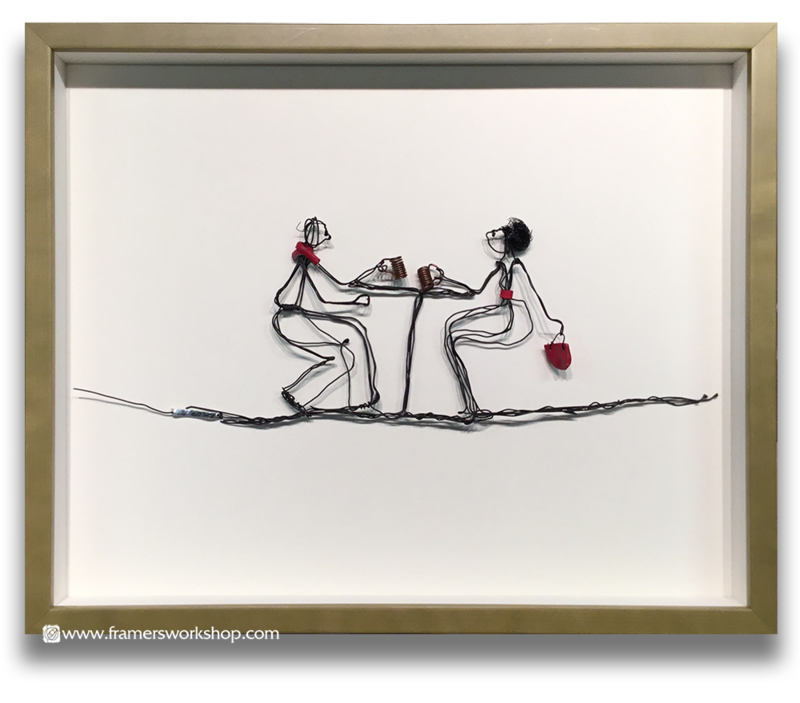 We've used white mat walls to elevate the glass, giving the sculpture lots of room to 'breathe'. Scroll down to see close-up details.